5,0 van 5 sterrenA BUSINESS CONTRACT OR MORE ??? A terrible assault forces Stephen Bachman to live behind a mask. Fear of a gypsy curse forces Patricia Cotter to live in hiding. What will happen when these two lost souls marry and hide out on Stephen’s estate? And what mystery will find them? 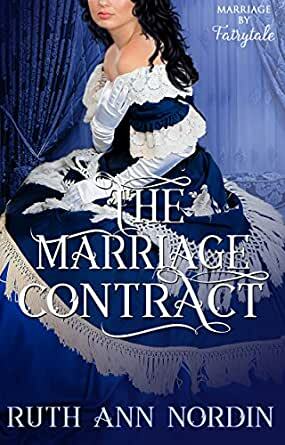 I highly recommend this fabulous novel in the new ‘Marriage By Fairytale’ Series, which follows the ‘Marriage By Bargain’ and 'Marriage By Fate' Series. I also highly recommend all the ‘Marriage By…” Series by this consistently brilliant author. 5,0 van 5 sterrenWonderful story! He was in need of redemption and 2nd chance and she needed to hide and be protected. I enjoyed this captivating and sweet story of how marriage of convenience turn into love. This story has a satisfying and complete HEA. I enjoy this author's books. I am glad that Stephen got his second chance, and really enjoyed his story with Patricia. I really liked Stephen and Patricia as well as their friend Lewis. My favorite kind of stories to read are the beauty and the beast type. While i did enjoy the story, I think it had the potential to be better, i think some parts were a little boring but overall I do recommend. 5,0 van 5 sterrenNever saw it coming! It seemed a bit unrealistic that a gypsy would spend so much time and effort in making our heroine's life miserable over some minor infraction, but when the truth comes out, it all makes sense, and makes for a boozy of a story.